Parents often ask me about holidaying and travelling with young children, and my advice is that if the baby is under 12 months – just go! Parents often ask me about holidaying and travelling with young children, and my advice is that if the baby is under 12 months – just go! Yes, there will always be times on the trip when you think ‘I’m never ever going away with this child again!’, because it is really hard when a child changes their environment, but you can’t just stay at home. Just go with it, enjoy your holiday, and when you return you can then get back into your normal routine. Little babies under 6 months are fabulous to go away with – especially if you’re breastfeeding – but once a child starts moving, it can be hard work! Be organised when going on plane – don’t have a lot of hand luggage to juggle! Breastfeed or bottle feed once you are on the plane to settle your baby – and don’t forget to take plenty of formula onboard. Feeding on take-off and descending will also alleviate issues with sore ears as the sucking equalises the ear pressure. 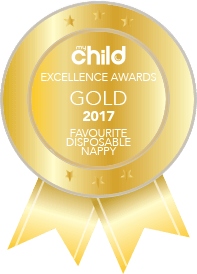 Take a change of clothes and plenty of spare nappies, nappy pants and wipes, and don’t forget that disposable change mat for when you’re doing a nappy change on the go. Amuse your child – take a walk up and down the aisle with your baby or bring an iPad with games and shows to entertain your toddler. I would never give medication to children to induce them to sleep as it can have the opposite affect and they can become quite hyperactive. If you’re worried about other passengers giving you that ‘please don’t sit next to me’ stare, remember most have actually been through this and understand. You also have the flight attendants to assist you with anything during the flight – they’re there to help so don’t be afraid to ask. Try to travel at times when your children have eaten and/or are ready for a sleep. Choosing the time for your big road trip or long-haul flight can make a difference. Some families get going nice and early, so they can head off whilst their children sleep (plus you beat the traffic!). Pick holiday places that are child friendly with plenty of activities, so you can all relax and enjoy! Travelling with sick kids can be tough, but sometimes necessary and unavoidable. Here are some essential tips – check with your paediatrician for advice, pack the right medicines (in your carry on! ), have clothing changes on hand, and take it easy. Sunscreen for sure. Monitor exposure to the sun by trying to go to beach in the early morning or late afternoon and remember to slip, slop, slap! Water – Drink plenty to avoid dehydration. Keep some bottles filled with cooled boiled water in the fridge. Some safety tips can be learnt and be put to use on your journey here, when baby-proofing your home. Midwife Cath – Cath Curtin – is a trusted expert in women’s health, pre-pregnancy, antenatal care and education, pregnancy, labour and birth, postnatal care, breastfeeding, and parenting. She has delivered over 10,000 babies throughout her 42-year career. Trained and fully-qualified as a nurse, midwife and maternal and child health nurse, Cath has an incomparable depth of experience. Her book, The First Six Weeks, was published by Allen & Unwin in 2016 and is being translated for international markets. Her next book will be published in 2018.